Now we are trying to figure out where we should place edit and delete, one option is to place it inside the dropdown. Do you know any other products that has such behavior? Do you find this behavior usable and useful or can you suggest a better way to perform these tasks? Why not just display the "Edit" Option below after the user has chosen the project? Adding actions within a dropdown is not a feasible option in my opinion as the whole surface of the selection will be clickable. Hence, adding actions within that area might confuse users. 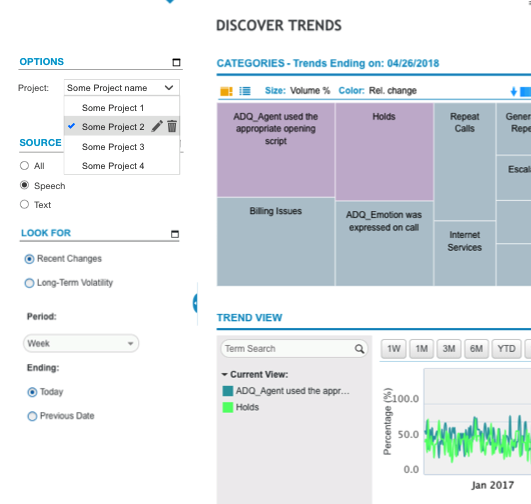 Alternative suggestion can be to use radiolist in order to show projects and upon selection actions related to a particular project will become enabled. Whether the user is going to make the whole CRUD operation here alone? If not, You can make the selection in a modal dialog, where user can launch edit from there. In this way it would be clean. 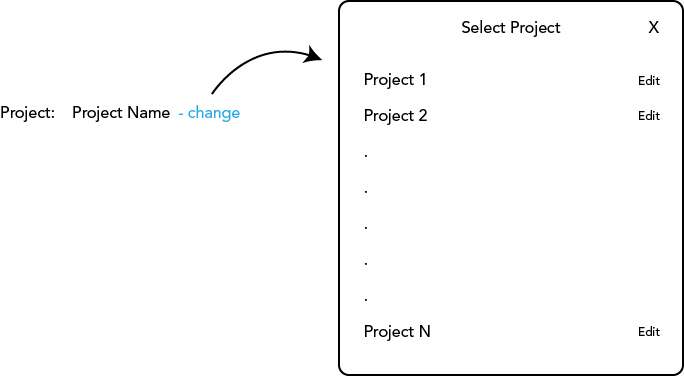 If the project deletion is not a costly/disruptive operation, It can delete from the modal too. If disruptive, it wouldn't be recommended as user may accidentally delete it. I would say that including those options in a dropdown is, at the least, an unexpected and uncommon behaviour - and how would the user know those options are within the dropdown anyway? Regardless of the solution, one thing I would say generally is don't conflate extra clicks/taps with a worse user experience. If the actions are clearer with an extra interaction or two, that's a worthwhile tradeoff. 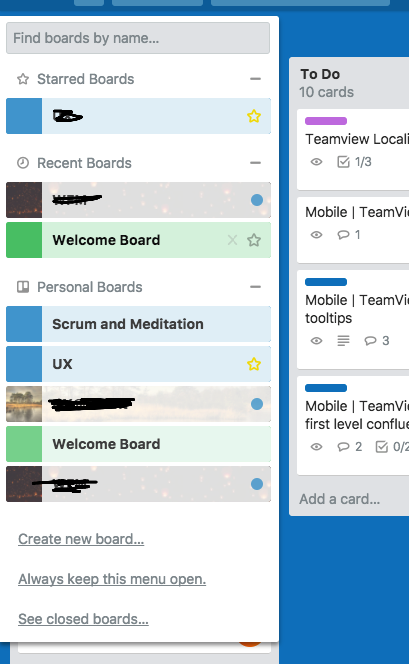 The one you provided - Trello's solution seems more convincing since they redesigned the classic dropdown into an actionable panel by widening its dimension, adding actions and information. The principle is the same but the optics give the affordance. Adding an "edit" button to the whole component which opens a modal with all the project and actions related to them. 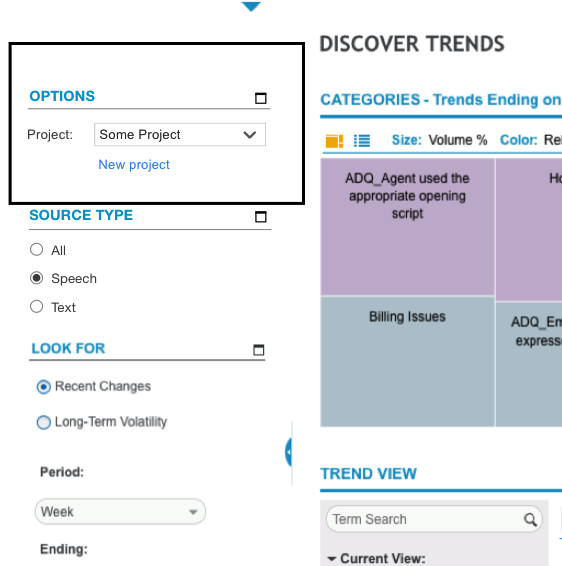 This way the user is in a state of "edit mode" and can focus on the task of managing his projects in one place: a. clicking manage projects b. deleting/duplicating etc. 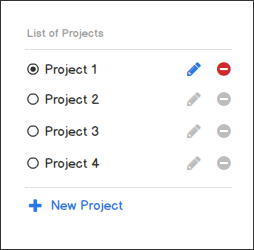 any project he'd like, and not going back an forth by a. clicking the dropdown b. clicking the "delete" for each project resulting in a loop. Consider adding an actions dropdown if the number of actions is greater than 3. Of course you can the "New Project" button as well to the modal. Not the answer you're looking for? Browse other questions tagged dropdown faceted-search sidebar or ask your own question. Is a dropdown easy to use?